عندما تزور برث, ستشعر أنك في بيتك في Quest West End Serviced Apartments الذي يقدم لك إقامة متميزة و خدمات عظيمة. لا يبعد الفندق كثيراً عن مركز المدينة، فهو يقع على بعد 0.5 km منها. في حين يستغرق الطريق منها إلى المطار حوالي 25 دقيقة. يوفر الفندق بفضل موقعة الجيد وصولاً سهلاً إلى أهم معالم المدينة.
. إن حسن الضيافة والخدمات الراقية التي تعرف بها Quest Serviced Apartments تغني تجربتك في Quest West End Serviced Apartments. يمكن لضيوف الفندق الاستمتاع بالميزات التالية على أرض الفندق: واي فاي مجاني في جميع الغرف, توصيل من البقالية, خدمة سيارات الأجرة, مكتب الاستقبال على مدار الساعة, تسجيل وصول/خروج سريع . بالإضافة لهذا,تتضمن كل غرف الضيوف مجموعة واسعة من وسائل الراحة . بعض الغرف توفر حتى سجاد, غرفة معيشة منفصلة, تلفزيون بشاشة مسطحة, غرف لغير المدخنين, مكيف هواء لإرضاء أكثر الضيوف تطلباً. إن مركز للياقة البدنية هو المكان الأمثل في الفندق للاسترخاء وتفريغ طاقتك بعد نهار طويل. إن Quest West End Serviced Apartments هو خيار ذكي بالنسبة للمسافرين إلى برث، بما يوفره من إقامة هادئة ومرحة. Some airline ETA schedule is late night/very early morning e.g. 1am or ETD late night e.g. 2am. Half day rate availability would increase more value for money. came back again after road trip to MR. Location too good too convenient. 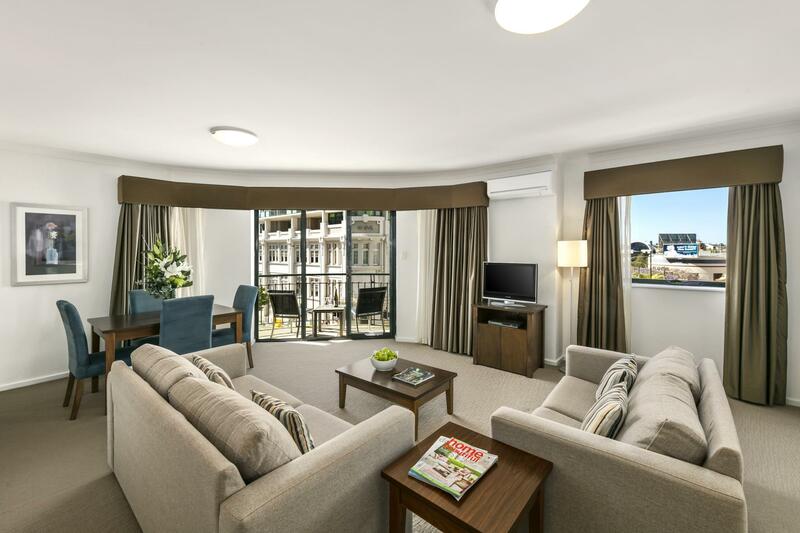 City perth, close to train and a number of attractions. Free CAT buses to bring you to place. close to Car rental as well. I would say this apartment is over priced although they have added some modern furnishings the look is still outdated and just seems old and flat. All presented very clean I was however very disappointed when i walked in and saw the kitchen and bathroom. For the price we paid and then having to pay separate parking I would not be staying here again. We stayed as it was close to an event we were attending. The apartment was spacious and kept clean. Toilets, kitchen and rooms were well equipped. Ideal for a large family stay. The location is also nearby to the city bus and there are many convenience store all around. Great location. We can just walk(probably about 10minutes) to the city center. The location is great and we can just walk around the city. We got a two bedroom apartment. It was spacious and clean but very dated. The furniture was not comfortable to sit on and my husband and I did not sleep well on the beds. It was also extremely noisy. You can hear people coming in and out of the other apartments, hear when people are showering or have flushed their toilets (from other apartments), and the A/C unit is noisy (my daughter called it a dragon). You can also hear all the noise from the street (people swearing, laughing, cars honking, cars excellerating, sirens, etc.) The wifi also kept dropping out (only worked in the living room NOT in the bedrooms) and I got so frustrated that I just the 500MB free roaming on my phone. We were looking at other places to stay while we were staying at Quest West, but decided to stay because the staff were very helpful. On another note...I purchased a bottle of wine from the Italian restaurant that cost me $35.00. Quest West had the same bottle of wine for $25.00. The mini bar prices were reasonable. Location is great, clean and easy access to city centre. The most disappointed me is early check out at 10 a.m morning even though we had 2 apartments with six days. Rates for the hotel and parking is over price. Not worth the money. 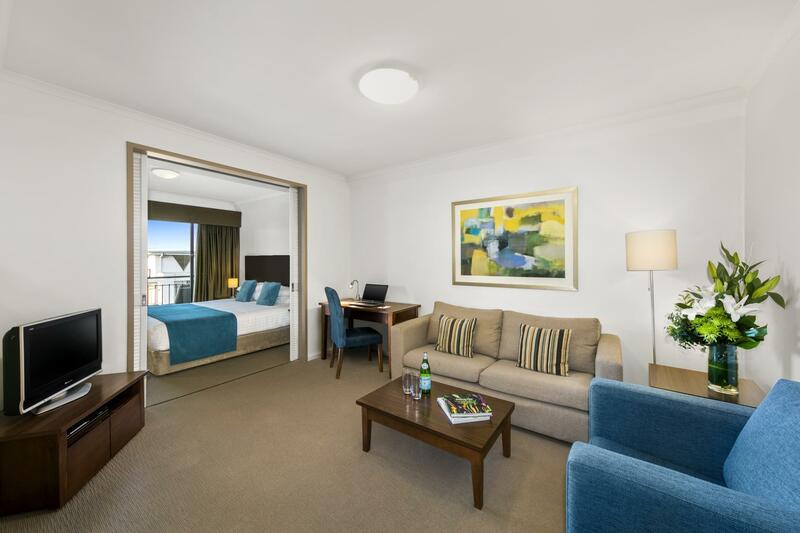 Will book the same accomodation if I ever visit Perth City again. 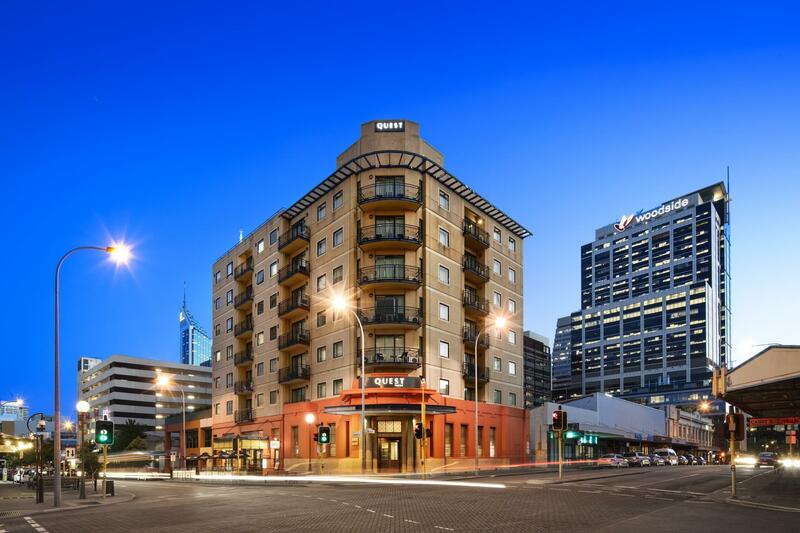 Ticked all the boxes, lots of space for a one-bedder, fully equipped with all amenities and on the edge of the CBD, (in Perth that means close to everything, without all the noise, hustle and bustle that goes along with it). Apartment is a tad tired, but not old. Limited free internet, good if you only want to check a few things. We had one issue with service. We moved out and forgot our modem. I called and they advised they'd make a note and keep it for us. My partner got a taxi there the next day and they said it was not there. We were a bit worried, as we thought we lost it. My partner then got a cab home. I then received a call to say that had it - all a miscommunication. I had to escalate the matter to get them to put it in a cab at their expense, (postal was offered) as a first option as I did not think it was fair for us to pay for another 2 X cabs. In the end all good - just left a bit of a sour taste, as I expected the free delivery to be offered as a first option; given it was their error. Fantastic time, great serviced apartment especially staying with young kids. Great location-near downtown malls, train and CAT stations. Only the air condition unit facing the bedroom and also front desk officer not too flexible on check out time (we requested just additional 1 hour) but declined on reason by the book despite out 9 nights stay. Otherwise, overall was good hotel and service. I will stay again.